Water is a key ingredient to life as we know it. Life on Earth would not be possible without our liquid water oceans. But simple planet formation predictions say there should not be this much water on Earth. Where the Earth formed, at 1 astronomical unit (AU) from the sun, the environment was too hot for water and other volatiles, materials with low boiling points, to condense. At 1 AU, these volatiles would be in gas form, not solid. Therefore, the water and other volatiles on Earth had to be brought from elsewhere in the Solar System. The prevailing theory is that the water came from impacts of water-rich planetesimals from farther out in the disk. These planetesimals formed beyond the snow line, the point in the disk where it is cold enough for water ice to freeze out. Around a sun-like star, this point is at about 2.5 AU. The question is: How did these water-rich planetesimals migrate inwards from beyond the snow line in towards a forming proto-Earth? Giant planets like Jupiter and Saturn are often evoked as the mechanism that stirs up material, a process called radial mixing. Gravitational interactions with these large bodies tend to push smaller bodies around, leading them to collide with each other. Authors Quintana and Lissauer aim to use theoretical simulations of planet formation to investigate the effect of outer giant planets on the accretion of volatiles in the inner Solar System. Exploring how Earth accreted water is important not just in understanding the habitability of Earth, but also in understanding the potential habitability of planets outside our solar system. Quintana and Lissauer created simulations of the late stages of planet formation with and without giant outer planets to see how the accretion of volatiles changed with the different models. These models aim to study accretion by terrestrial planets, a process that occurs late in the formation of the Solar System. The models assume that at this point giant planets have already formed, as have the smaller planetesimals and planetary embryos, which will later accrete to form terrestrial planets. The models start at time zero with planetesimals and planetary embryos scattered between 0.35 AU and 4 AU. The initial water fraction of the planetesimals is a function of distance from the sun – the colder it is, the more water ice there is. The top left panel of the figure below shows a representation of the initial state. 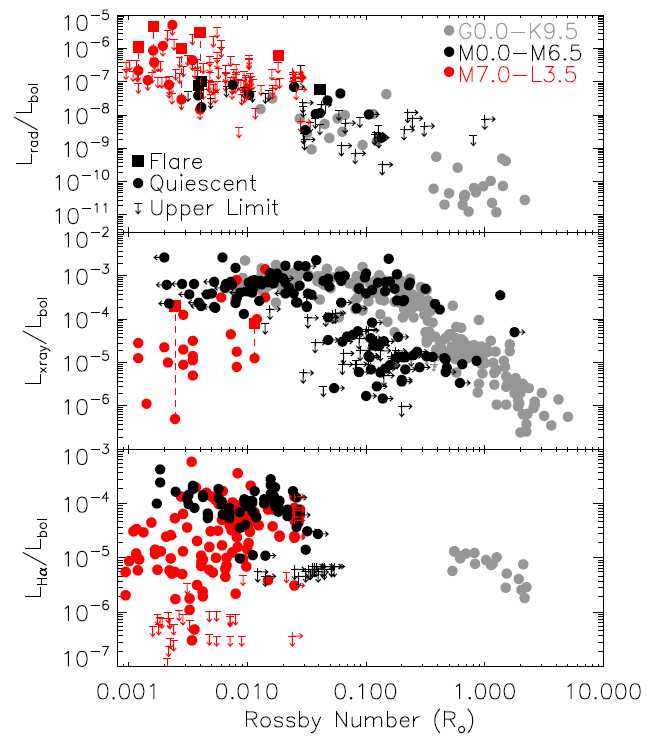 The authors use an N-body integrator to follow the evolution of the disk under gravitational interactions and collisions for 1 billion years. As the simulations run, the gravitational interactions push the bodies around and make them collide into each other. A dry planetary embryo can accrete water by colliding with a water-rich planetesimal from beyond the snow line that was knocked into the inner system. The figure below from the paper shows the results from one of the simulations. All the simulations produced at least one Earth-like planet (i.e. a body at least half as massive as Earth and located between 0.72 and 1.52 AU). The properties of all the bodies were tracked in the simulations with and without outer planets and the authors came to a few conclusions. The inclusion of outer planets had two strong effects on the simulations. 1. More mass was pushed out of the system by strong gravitational kicks from the outer planets. This means less mass ends up in the final terrestrial planets, including less water mass. 2. 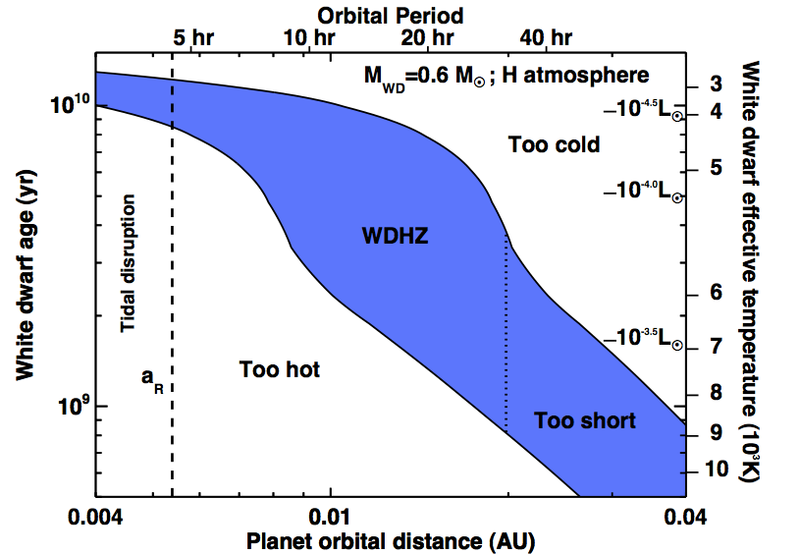 Outer planets reduce the accretion timescales. In the simulations with outer planets, terrestrial planets finished accreting by about 200 million years, but without an outer planet, accretion continued until the end of the simulation at 1 billion years. The amount of water accreted did depend of the presence of outer planets. In the simulations without outer planets, all but one of the Earth-like planets were water-rich. With outer planets, there was a mix of water-rich and water-poor. 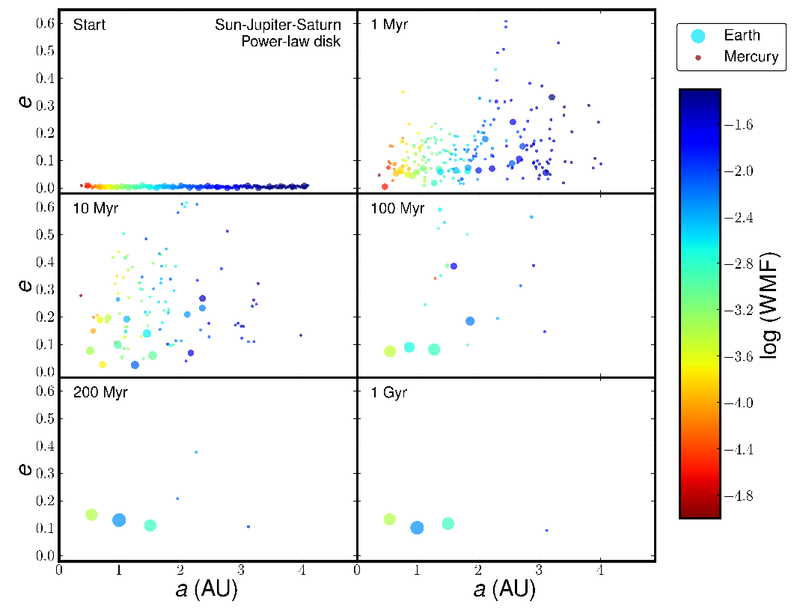 The big result: giant planets are not required for radial mixing. Systems without outer planets have no problem transferring water to terrestrial planets. In the simulations, systems without giant planets were more likely to have water-rich terrestrial planets. Does this mean they are more likely to be habitable? Probably not. The simulations also showed that a lot of small bodies are still in the disk at 1 billion years because giant planets aren’t there to eject them. That means the likelihood of multiple large impacts over the lifetime of the planet increases dramatically. These large impacts are destructive enough to wipe out all life on the planet. They may be water-rich, but I wouldn’t build a summer home there.